In the image above there are some 433Mhz object that we are tested to check compatibility between them. 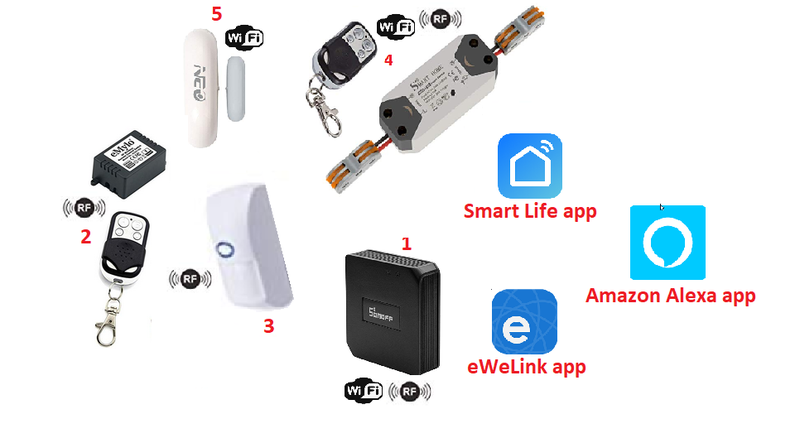 Also there are some WiFi objects, compatibles with Smart Life and Alexa app. Below there is the list of tested objects we checked for control the real compatibility.